Brilliantly beaded the set of 4 star coasters is a stylish, fun and eclectic coaster set! 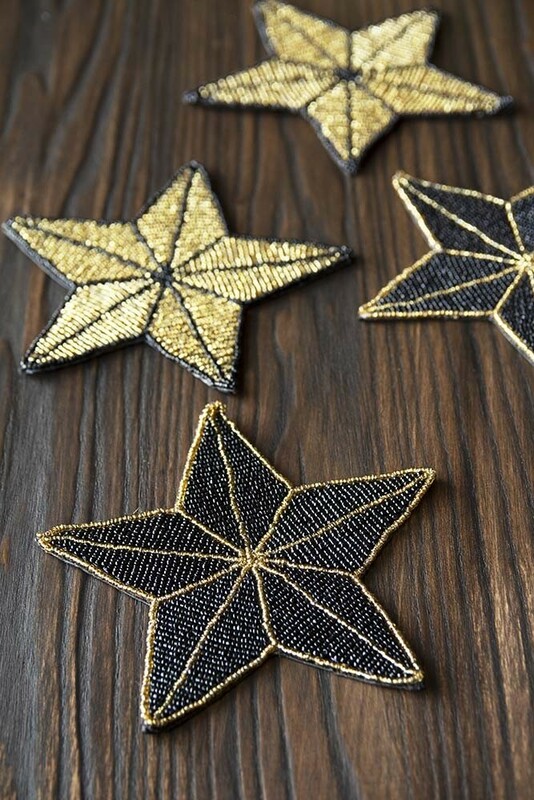 Part of our Rockett St George own-design Beaded Collection the Set of 4 Star Beaded Coasters were designed by co-founders, Jane and Lucy, who wanted to make this functional surface protecter fabulous! 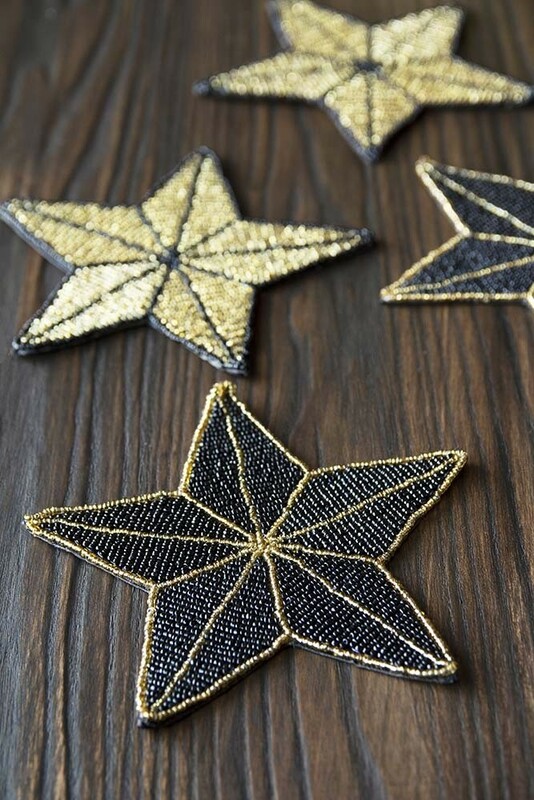 In two designs – Black Beaded Star with Gold Edging and Gold Beaded Star With Black Beads – the fabulous set of coasters are so lovely that they are like art for your side tables, coffee tables, bedside tables and console tables. 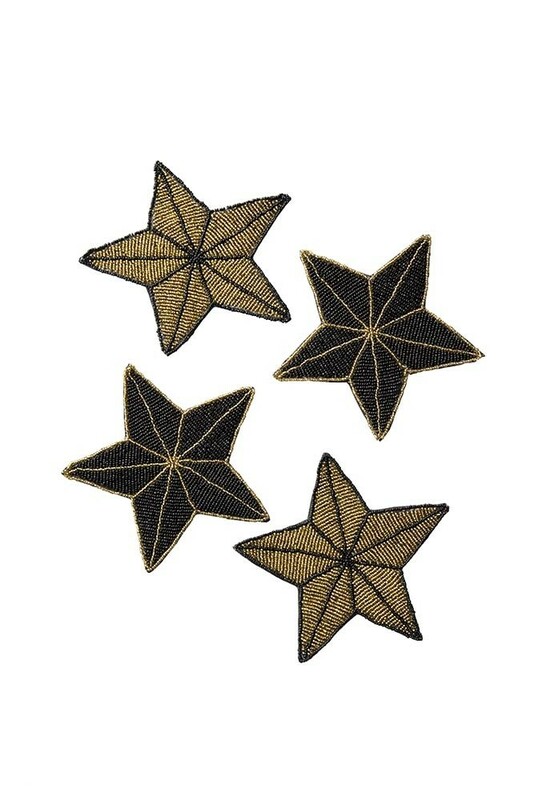 A unique gift idea for anyone who loves beautiful accessories for the home the Set of 4 Star Beaded Coasters are really lovely and will never fail to make you smile. Part of the RSG Beaded Accessories Collection why not complete the set with our beaded placemats, coasters and cushions!